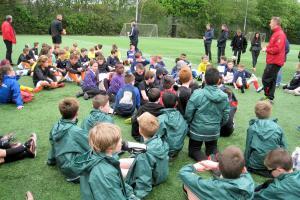 Enthusiastic Primary 6 and 7 children listen to the pre-competition briefing. 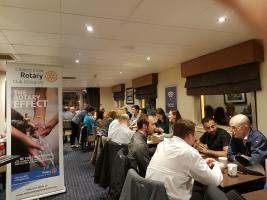 Our third Treasure Trail Challenge was held on 6th September 2018, in aid of 'Cash for Kids'. 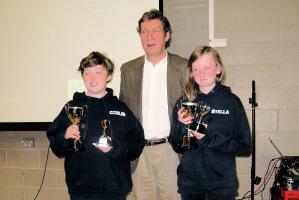 The winners of the 2018 Hillhead Primary School's Citizenship awards were Colin (left) and Stella. 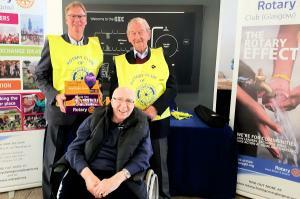 They are with Club President Trevor Graham. The awards are given by our Club every year. 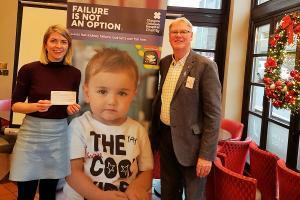 Crocus Appeal: £5,000 for PolioPlus! 5th SEPTEMBER! This year's Treasure Trail Challenge will be held on the evening of Thursday, 5th September. Full details will be added soon, but in the meantime, put it in your diary! 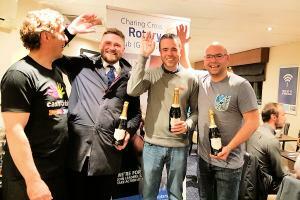 The Rotary Club of Charing Cross is in Glasgow. 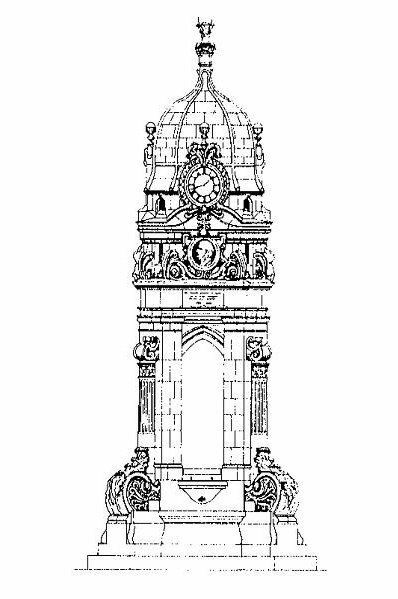 This drawing, by Founder Member and Paul Harris Fellow John Papworth, is of the Charles Cameron Memorial Fountain in the Charing Cross district of Glasgow.